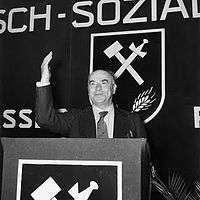 Helmut Bischoff - SS-Obersturmbannführer. Gestapo officer and head of security for Nazi Germany's V-weapons program. 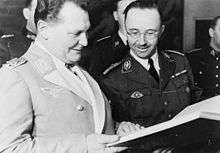 Otto von Bolschwing - Member of the SD-foreign branch and deputy to Adolf Eichmann, played a major role in organizing the 1941 Bucharest pogrom. 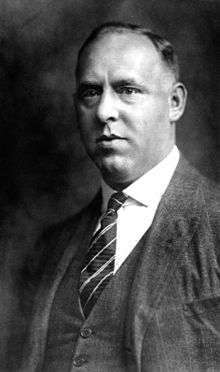 Otto Ohlendorf - head of SD-domestic branch, the RSHA department responsible for intelligence and security within Nazi Germany. 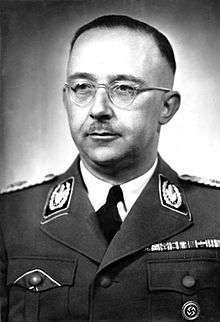 Walther Schellenberg - SS-Brigadeführer who rose through the SS as Heydrich's deputy. In March 1942, he became Chief of Department VI, SD-foreign branch, which, by then, was a department of the RSHA. 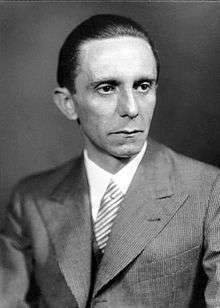 Later, following the abolition of the Abwehr in 1944, he became head of all foreign intelligence. 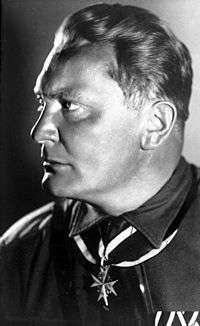 Adolf Ziegler Hitler's favorite painter, tasked with the destruction of Entartete Kunst (Degenerate Art).